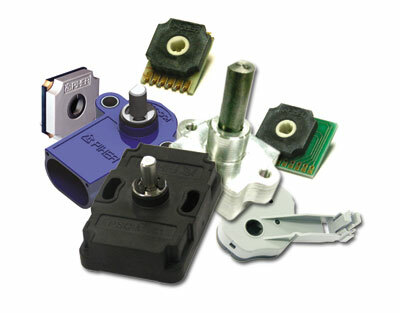 Custom position sensors – Potentiometer manufacturer. Fabricante de potenciómetros. One of our core competences has always been the high experience in manufacturing custom sensors and controls according to customers´ requirements, coping with even the hasher environments´ conditions using rotary, linear and multiturn contact and non-contact technologies. The pursuit of the most cost-effective total custom-engineered Sensor sSolution for your needs is firmly embedded in our business philosophy, whatever your requirements may be, from adapting standard products to complete new designs. Rapid prototyping, low batches accepted, up to 360º measuring range, analog, PWM, SPI, CAN, switch outputs are some of the key features offered by Piher. We offer accurate and reliable 360° non-contact angular position sensing. Position and angle sensors for automation in manufacturing. Position and angle sensors for process control. Position and angle sensors forthe IoT. Position and angle sensors for material handling systems. Position and angle sensors for autonomous vehicles. Position and angular transducers for factory automation. Position and angular sensors for machine safety. Magnetic Linear industrial Position Sensors. Error-free & wear-free sensors position and angle sensors for control and HMI. Shared Services in Procurement and Supply Chain Management. Collaborative Planning, Forecasting and Replenishment (CPFR). Join now the group of the major Appliance, Industrial and Automotive manufacturers that use Piher custom products. Nuevo potenciómetro de Piher para electrodomésticos y automóvil. PIHER Sensors and Controls S.A.
© Piher Sensors & Controls - Privacy/Legal - To bookmark this site, click Bookmarks | Add bookmark or press Ctrl+D.